Eyeliner is a staple in anyone’s makeup collection. However, applying eyeliner can also seem like a daunting challenge for beginners in the world of makeup and beauty. Swiping a thick black line onto your eyelids, a few millimetres away from your delicate eyeballs themselves, with a pointy, sharp tool can seem terrifying. Eyeliner doesn’t have to be scary or an insurmountable challenge however. 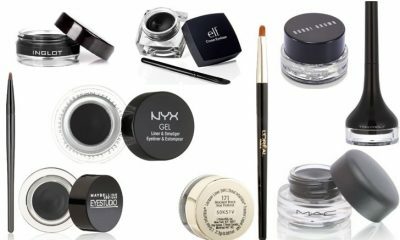 If you’re just starting out with eyeliner application, keep reading the eyeliner reviews to learn about some of the best eyeliners for beginners to help you ease into liner application smoothly without difficulty or frustration. 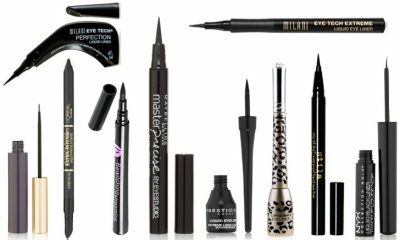 Liquid eyeliner is undoubtedly the most difficult type of eyeliner formula for beginners and many experienced beauty lovers to apply smoothly and successfully. However, there’s really no way to beat the gliding intensity that liquid liner can help you achieve. 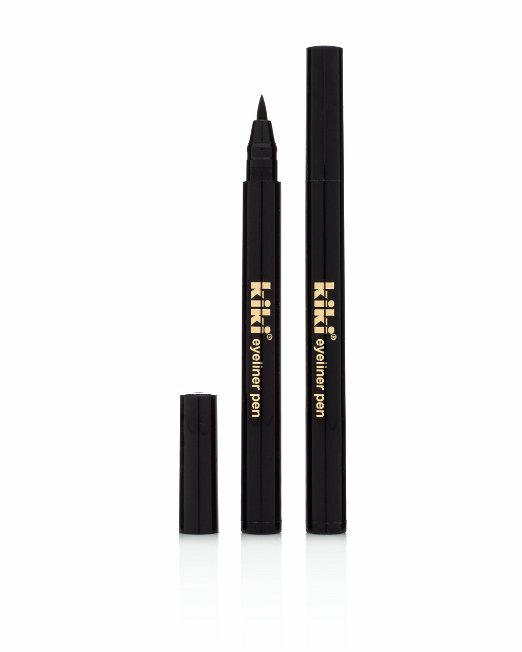 This special, chunky felt-tipped liquid liner formula from Kiki can help any beginner successfully apply flawless liquid eyeliner without making a mess. The tip of the felt applicator is short and chunky with a sharp point at the end, which makes it easy to evenly distribute product without losing control. Plus, this intense liquid liner formula dries extremely quickly on your skin and stays put to avoid smudging, bleeding, running, or feathering all day long. 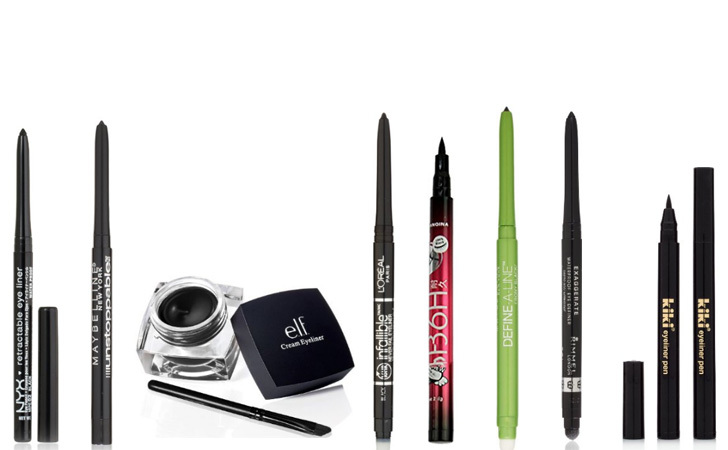 Pencil liners are the easiest type of eyeliner for beginners to apply. They’re not messy, they don’t smear easily, and they glide onto your eyelids with a smooth and even distribution that stays put. This eye pencil from NYX Cosmetics is incredibly easy to use for a quick application. Its tip is sharply pointed but thick to allow a precise, easy-to-control application that lasts all day long without budging or smudging. Plus, the eye pencil has an innovative mechanical formula that allows you to easily adjust the length of the tip when the pencil begins to dull to help you maintain precision for a longer period of time. This eyeliner means what it says when it claims to be “unstoppable”. Smudge-proof, waterproof, and dull-proof, the eye pencil from Maybelline New York simply cannot be stopped with any of the common challenges that befall most eyeliners and befuddle beginners to a fit of frustration. With special swivel packaging that keeps the liner infinitely sharp and an intense formula that maintains a rich pigment and stays put along your lash lines until you want to remove it, this liner is the perfect choice for the eyeliner beginner who is always on the go and needs an option for quick and easy liner application any time. When most beginners hear the words ‘cream eyeliner’, they’re apt to run screaming in the other direction–and for good reason, too. Cream eyeliner can be incredibly difficult for beginners to apply because it requires application with a separate brush and can be extremely challenging to distribute evenly and smoothly around your eyes without making a chunky mess. 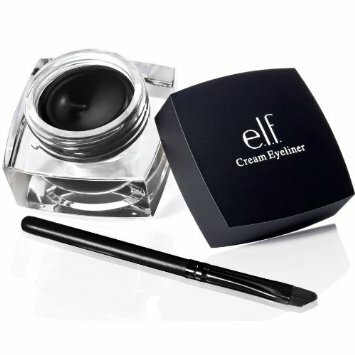 This beginner cream eyeliner from e.l.f. Cosmetics, however, is not quite as scary as many other cream liners, although it still requires some patience. The smudge and smear-proof cream formula is soft but not watery in order to allow you to scoop up your desired amount of product and apply it smoothly along your lash lines without worrying about chunking or flaking. Plus, the applicator brush the liner comes with is a small angled brush that makes precise, fine application effortless. Eyeliner that lasts up to sixteen hours? It might seem like an impossible fantasy, but dreams do come true with this eye pencil liner from L’Oreal Paris. Crafted with an incredible, innovative long-wear formula that lasts without smudging or smearing all day and into the night as well, this liner dries and sets extremely quickly to combat fading throughout the day. Plus, this special liner is double-ended; one end is a rich and creamy pencil and the other is a built-in smudger and sharpener combo that allows you to create versatile smudged liner looks and keep the tip of your liner sharp at all times, even while on the go. Even the creamiest eyeliner has a sharp pointed tip, and dragging that tip across your lash line during liner application can painfully irritate the sensitive skin around your eyes. 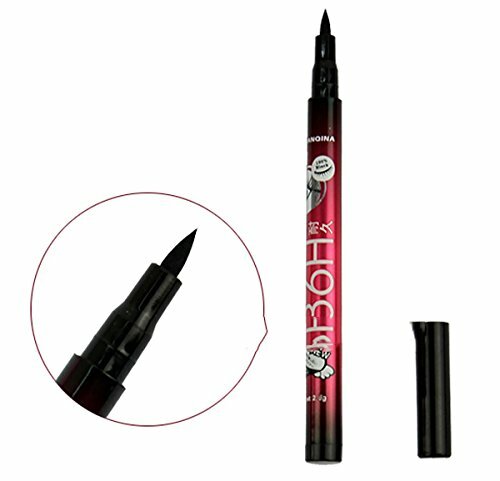 SoftFlex Comfort Technology is an innovative technique that is formulated within this pencil liner formula from Revlon. Designed to soothe and nourish the delicate skin of your eyelids rather than irritate it, SoftFlex ensures that the tip of the liner feels smooth and creamy on your skin instead of stiff and rough. As an added bonus, this uber comfortable eye pencil has a ColorStay formula that keeps the rich pigment of the liner on your eyes without budging for up to sixteen hours. Eyeliner pens like this one from Great Deal can be a life-saver for beginners in the world of liner application. They provide the richly pigmented, smooth intensity of a traditional liquid eyeliner without the mess and difficulty of applying liquid liner. Crafted with a pencil-like tip but filled with rich, dramatic liquid liner, this eyeliner pen is easy to use to create thick, dramatic lines that you can smudge and blend for a more subtle look or leave sharp to create wings or graphic designs. Some people love dramatic, graphic eyeliner, while others prefer a thinner, more subtle fine line. If you’re on the team of fine lines that look more natural, this pencil liner from Maybelline New York is a great choice for you. The precision tip of this liner is extremely thin and allows you to effortlessly slide fine lines of the smooth and creamy product along your lash lines without making them too thick. As an added bonus, the sleek tube in which the liner is encased includes a built-in smudger and sharpener to help you fix mistakes and keep your liner sharp while out and about. 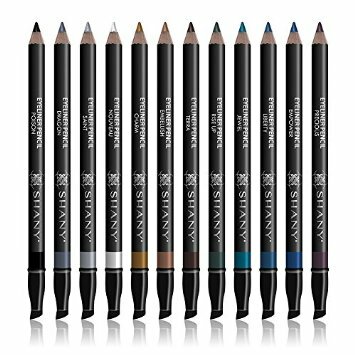 If you’re a sucker for wild colors and beauty adventures, this twelve-pack of slim pencil liners from SHANY Cosmetics can be a dream come true for you. Heat-resistant, water-resistant, and sweat-resistant, these long-lasting, hypoallergenic pencils come in a variety of matte and shimmer finishes in colors ranging from turquoise to gold to matte black. Infused with vitamin E and aloe vera, the liners glide on smoothly and soothe and condition the skin around your eyes during wear to prevent irritation and leave your eyelids looking and feeling soft, smooth, and healthy. Rich, intense color reminiscent of the eyes of a runway model is not so far out of your reach with this powerful pencil eyeliner from Rimmel. Formulated to pack a punch and deliver incredibly intense, richly pigmented color to your lash lines, the eye pencil is easy to build up and layer to create a maximum intensity that can’t be missed. One of the great things about this easy-to-apply pencil liner is that you won’t end up with black raccoon smudges under your eyes after a few hours, as it is a waterproof formula that is resistant to sweat, tears, and moisture to ensure long-lasting wear. Eyeliner application is an undeniable art, but it’s one that anyone can master. Use this list to start out your liner journey with one of these best eyeliners for beginners to start developing your liner skills to perfection in no time.